Roots | Only at His Feet! Everyone knows what the roots of a tree are for. They gather water and nutrients (food) from the soil and send it to all parts of the tree for survival, energy storage, reproduction defense and many other things. Roots also anchor the tree to the ground. They are one of the most important parts of the plant. Without the roots, the plant would not exist. It couldn’t survive. Where are our spiritual roots? What is our anchor? Jesus Christ, the Son of the living God! He is the Word! John 1:1 says, “In the beginning was the Word, and the Word was with God, and the Word was God.” Jesus is the Word. He is who we need to root ourselves in. 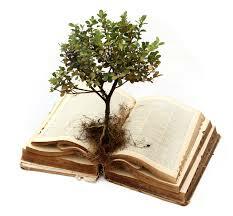 His word is our instruction book on how to grow and flourish. Without Him we can’t grow, can’t survive, wouldn’t exist. Our eternal existence depends on our relationship with Christ. We must ensure that our roots, our lives are soaking up the water from the well of Christ. We need to trust in, depend on, live for the One who can change our lives, our attitudes, our hearts for the better.